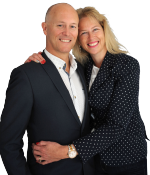 Meet Our Millionaire Mentor, Author, Speaker and Coach – Stuart Ross here! Success was defined as: Getting a Trade. Getting married. Having a family! Any talk of doing anything different was met with indifference. We were lied to about what was truly possible in this big wide world of ours. The reality is – that's how our parents were bought up too, and they just wanted the best for us (what parent doesn't). But all they knew was how they'd been brought up – so those old ways were impressed on us too. Looking back – we both took that ‘limitation' or ‘lack of encouragement to change‘ as a challenge. A challenge to break the mold. A challenge to not live life the way our parents had in mind for us. Or maybe, you're still looking for the real success formula – the one your Mother lied to you about? Do you want your lifestyle of design?
. . . you can still do great without all those things. Because they're not what's needed to be successful. Maybe your Mother lied to you about these things too? Ours didn't – most of those qualities simply weren't encouraged in our families as we were growing up. They were for ‘other people‘!!! Just Get A Trade. Get A Job. That's all. That was the blueprint for life back then. BUT . . . it doesn't work that way now! Today, people think we're “SUCCESSFUL” already . . .but, deep down inside, we're not where we want to be . . . YET! So we figured, if we ACT like we're successful, sooner or later we’ll BE successful, and in the meantime, we’ll FEEL like we're successful. Seeing as these practices don't cost anything, except some discipline and some time well spent, it's pretty much a win-win, if you ask us. What Really Leads To Success Now? And what do you need to do to ACT like being successful? Happily we have the research done by Richard St John to help us out. So you too can learn directly from people like Bill Gates, Martha Stewart, Richard Branson, Larry Page, James Cameron, Al Gore, Jane Goodall, Rupert Murdoch, Quincy Jones, Russell Crowe, Deepak Chopra, Arianna Huffington to name but a few. The crunch work was in analysing all their answers and comments to reveal the common factors all these successful people attributed their success to. Love what you do, and be passionate about why you do what you do. Passion is not something you're born with, it's something you learn and develop. Don't do something because everyone else is doing it or because a friend or family member wants you to do it. Make sure it’s something that makes you leap out of bed each morning. Most people think it must be hard work to earn a comfortable sustainable income – but it's easy when you work smart – which means stay focused on the profit generating tasks, and use your 24 hours each day wisely to accomplish the steps that will take you closer to your goal. Take responsibility for your actions, as the buck stops with you. Always Push Yourself to work smarter, stay focused, and stay motivated. You will mess up along the way (it's human – we're wired to learn from our mistakes), so expect failures, and push yourself to learn from them, rather than beat yourself up over them. Always strive to come up with good ideas like this chap does. Leave your mind open for solutions to percolate through. Trust yourself, trust your judgement, and trust your intuition. When you do have a good idea that makes you giddy with excitement, repeatedly ask yourself the question: “So what that means is . . .” until you’re fully investigated all possible outcomes of your new idea. Continue to improve yourself and everything you do forever. Make sure you do something each day to better yourself, whether it be reading, writing, meditating, training, or practicing. Make a conscious decision to constantly and deliberately improve your mind, skills and overall ability. Serve others something of value because success isn't just about ‘me, me, me'. It’s extremely rewarding to help others, and very satisfying to share in their A-ha! Moments, but the biggest bonus in serving others is the financial reward that naturally follows. Persist, because there is NO overnight success. Keep on keeping on, and never give up. It’s like being on a roller coaster, you’re strapped in for the ride, and there’s no getting off. Up days follow down days, but you keep pushing on. These are the 8 core characteristics your Mother never told you to embody and practice day in and day out to be a success at whatever you turn your hand to. 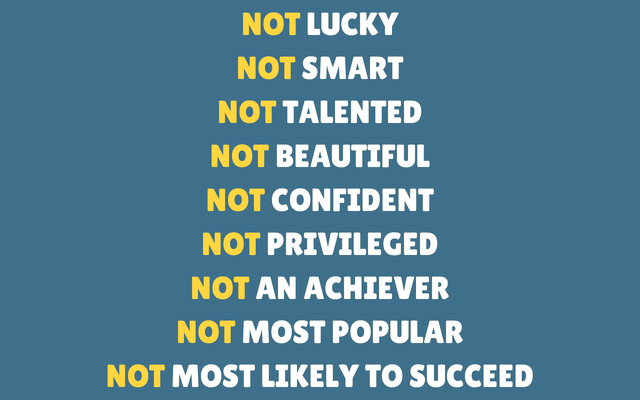 These 8 traits exist in the 500+ successful people who Richard St John interviewed. Start personifying those 8 success characteristics today, then add on the skills that are specific to your career or to your area of expertise. Skills like Creativity, Management, Computer Literacy, Communication, Analytical, and Technical abilities. So now you know what it takes to be successful, and you’re ready to cultivate those 8 particular characteristics, get ready to flex your entrepreneurial mind and muscle. Our Mentor will show you how to run a profitable online business, working from anywhere in the world, starting from scratch – just like he showed us. Click the image below to discover more . . . Successful Entrepreneur – Do You Have What it Takes?